Prosecco gathers steam at retail ahead of the holiday season. Retailers are planning to use floor displays and seasonal pricing specials during the holidays to promote Prosecco, which is already one of the fastest-growing wine segments in the U.S.
Wine retailers plan to capitalize on Prosecco’s momentum this holiday season with elevated inventories, giant floor displays, seasonal pricing specials, weekly advertising, and more. Prosecco, after all, has held steady as one of the fastest growing wine segments in the U.S. over the past five years. 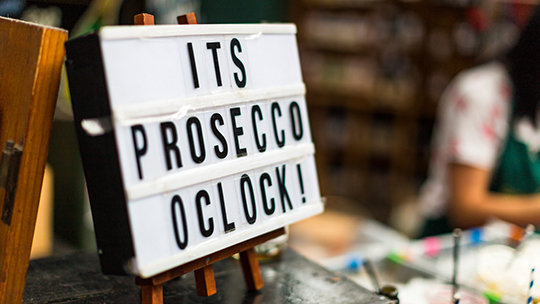 With an average retail price of $13 a 750-ml., Prosecco grew 14.3% in dollar sales on an 11% volume gain for the 52-week period ended July 14, according to Nielsen. The category has more than doubled in volume since 2013, and is now more than three times the size of Champagne in the U.S. 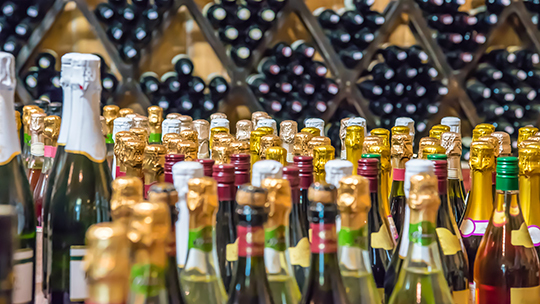 In all, Total Wine stores carry 84 Prosecco offerings. Delly notes that while the Northeast is the retailer’s strongest region by sales volume, its most prolific growth markets are in the West. “We are also seeing a consumer trend in brunching, and Prosecco is the perfect base for Mimosas,” he adds. This holiday season, Total Wine plans to create large Prosecco displays at the front of its stores and expand inventory. Behind a strong 2018 harvest, retailers such as Argonaut Liquor in Denver, Colorado and the Total Wine & More chain are confident that the Prosecco boom will continue into the future. Argonaut held a large tasting event featuring its sparkling wines, including Prosecco, in September and will hold another on December 1, with a series of informal tastings leading up to the New Year. “During the holiday season we always have Ruffino ($14 a 750-ml.) and La Marca ($17) on the floor,” Carey says. Other popular Proseccos sold at Argonaut include Natale Verga ($15) and Lunetta ($12). “We do a lot of bottle deliveries to office buildings ahead of the holidays, and many will order Prosecco in a 5.5-gallon keg as well,” Carey adds.